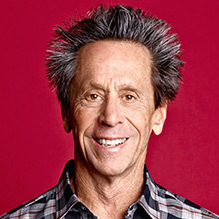 Academy Award® and Emmy® award-winning producer, and New York Times Bestselling author Brian Grazer has been making movies and television for over 30 years. Grazer’s productions have been nominated for 43 Oscars® and 158 Emmys. He has been personally nominated for four Academy Awards®, and in 2002, won the Best Picture Oscar® for A Beautiful Mind. Other films include American Gangster, 8 Mile, Apollo 13, Parenthood, and Splash. Grazer’s television credits include critic and fan favorites Empire, 24, Arrested Development, Friday Night Lights and The 84th Annual Academy Awards. Grazer’s book A Curious Mind: The Secret to a Bigger Life is a NY Times bestseller. Grazer's most recent film is the documentary The Beatles: Eight Days A Week - The Touring Years. Upcoming films include Inferno, the third installment of Dan Brown’s Da Vinci Code franchise and The Dark Tower based on Stephen King’s bestselling series. Upcoming TV projects include Shots Fired and 24: Legacy; as well Mars and Genius: Einstein for NatGeo. 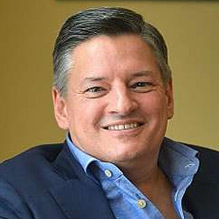 One of Time Magazine's 100 Most influential People of 2013, Ted Sarandos has led content acquisition for Netflix since 2000. With more than 20 years’ experience in the home entertainment business, Ted is recognized as a key innovator in the acquisition and distribution of films and television programs. From its roots as a U.S. DVD subscription rental company, Netflix is now the world’s leading Internet television network with nearly 60 million members in more than 50 countries and producing more than 320 hours of original content in 2015. With the 2013 releases of "House of Cards," "Hemlock Grove," "Arrested Development," "Orange is the New Black," “Turbo F.A.S.T.,” “Derek,” and “Lilyhammer,” Ted led the transformation of Netflix into an original content powerhouse that is changing the rules of how serialized television is produced, released and distributed globally. In its first two years of releasing original series, documentary films, children's shows and comedy specials, Netflix has been recognized by the film and TV industries 45 Emmy nominations, 15 Daytime Emmy nominations, two Oscar nominations and 10 Golden Globe nominations. Ted has also been producer or executive producer of several award winning and critically acclaimed documentaries and independent films, including the Emmy nominated "Outrage," and "Tony Bennett: The Music Never Ends." He is a Henry Crown Fellow at the Aspen Institute and serves on the board of Exploring The Arts, a non-profit focused on arts in schools. He also serves on the Film Advisory Board for Tribeca and Los Angeles Film Festival, is an American Cinematheque board member, an American Film Institute trustee and is an Executive Committee Member of the Academy of Television Arts & Sciences. Ted is married to U.S. Ambassador Nicole Avant (ret.) and has two children, Sarah and Tony Sarandos.